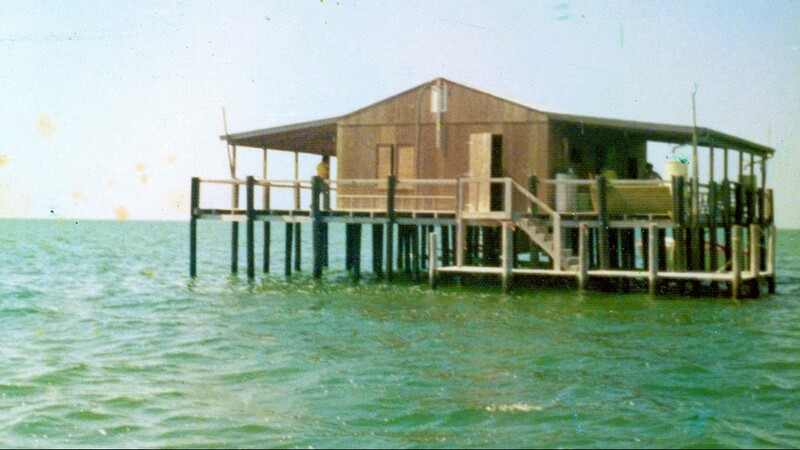 In the mid-1960s, there were as many as 24 stilt homes in the Gulf of Mexico off Port Richey. PORT RICHEY, Fla. -- Patty Deremer was one of the first people to see a piece of Pasco County history burning away to ash. “We just sat here and had a few beers and watched it burn,” she said from the balcony of her home in Port Richey. 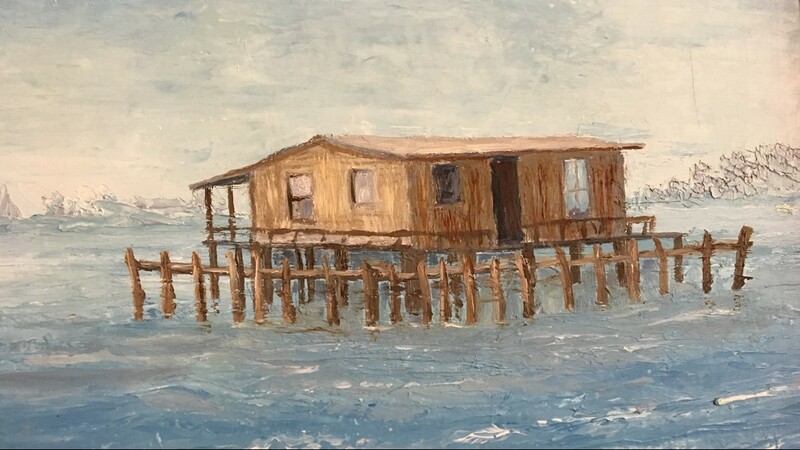 Just about a half-mile off the coastline, the iconic stilt house of one of her oldest friends had succumbed to the effects of a lightning strike. “It’s totally sad,” Deremer said. 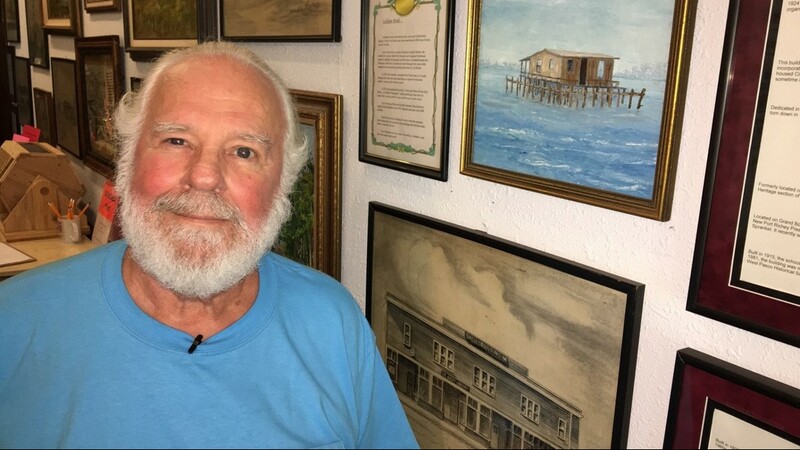 Photo: Jeff Miller and a painting of a stilt house in Pasco County. Imagine how devastating it was for Brian Lake to get the news. His family owned stilt house No. 6 for decades. The Lake family plans to rebuild their stilt house. Until it’s finished, the total number of stilt homes in the Gulf of Mexico of the Port Richey coastline is down to nine. At one time in the mid-1960s, there were as many as 24. 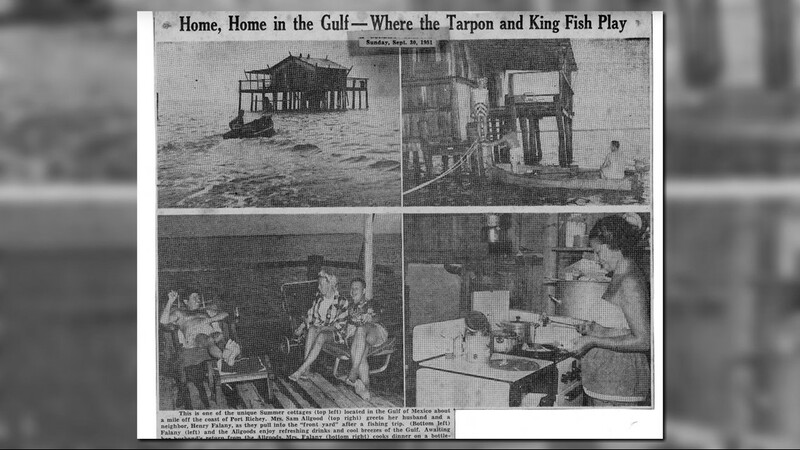 The stilt homes have become a recognizable part of West Florida’s history. 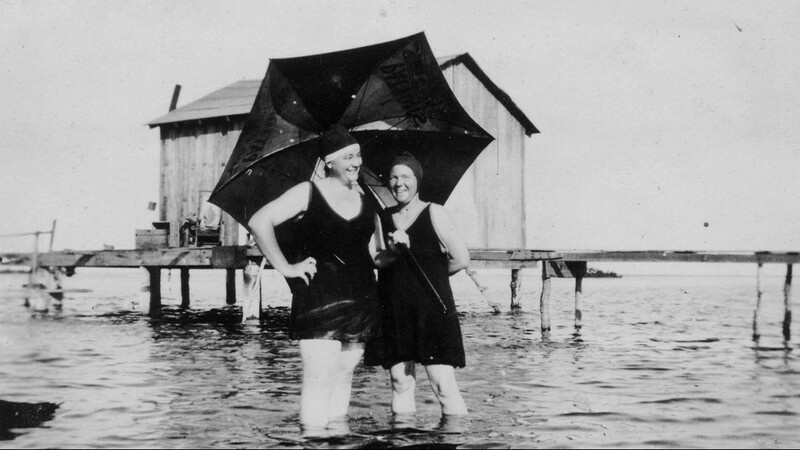 The modest houses, made of all wood, dot the horizon and rise from 4-6 feet about the waterline. They have become retreats for families where they fish and swim. “The people who go on it who have never been on it before can’t believe it,” Brian’s older brother, Greg said. The first homes were built between 1916 and 1918, according to Langford. Local fisherman needed places to clean their cast nets and pack their haul, usually mullet. The homes transitioned into vacation destinations over the years for stars and celebrities like Johnny Cash and the late Rev. Billy Graham. Lake’s home wasn’t the first to be struck by lightning. 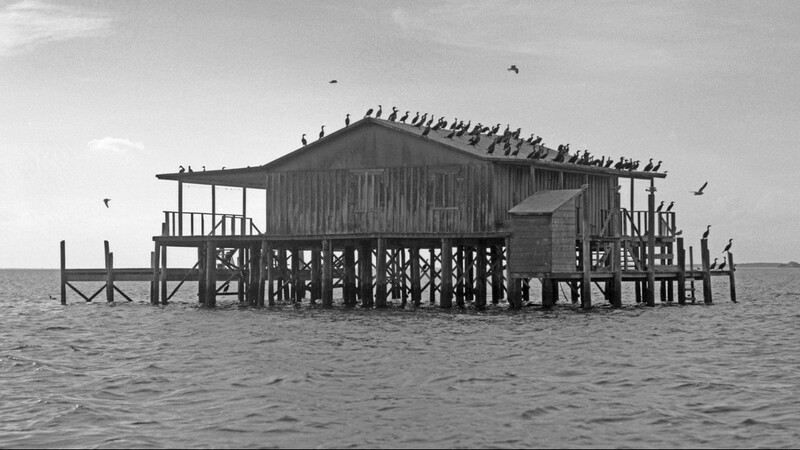 The southernmost stilt house was presumed to be hit by a bolt on June 29, 2010. It was totally destroyed. 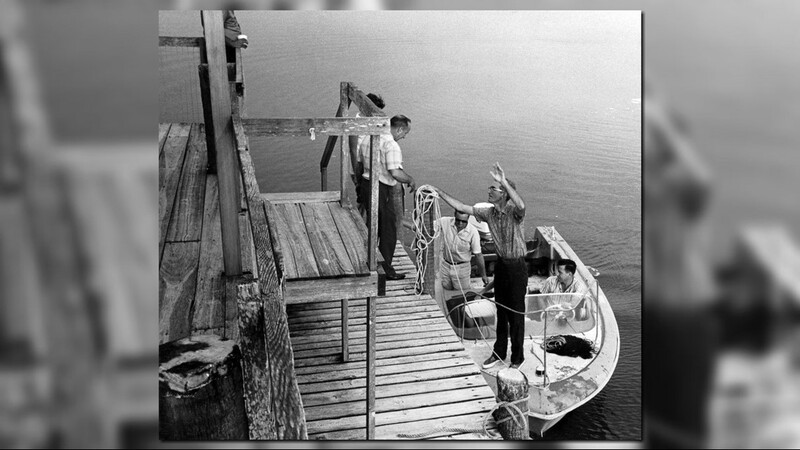 Embracing and preserving this part of Florida history is important to families like the Lakes and historians like Langford. 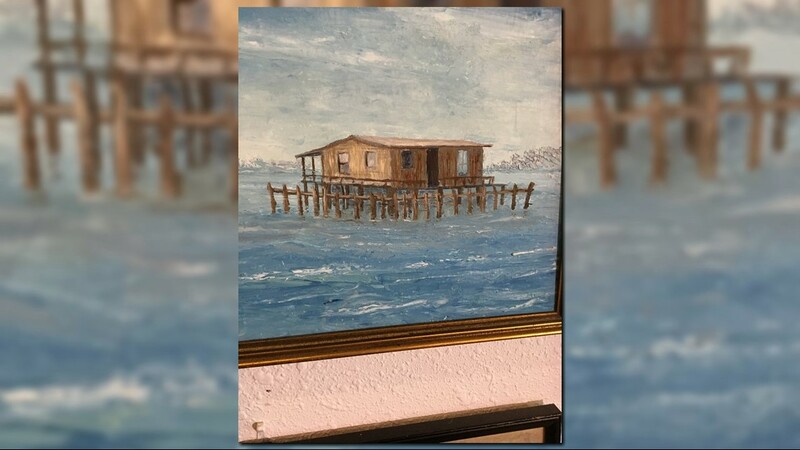 10News will chronicle the Lake family’s efforts to rebuild its beloved stilt home. Check back for stories on the progress throughout October and November. The family hopes to complete the project by Thanksgiving.